The collapse of an indoor activity center under construction in Argyle was captured by four surveillance cameras. NBC 5 Investigates obtained the video and hundreds of school district emails under the Texas open records law. The cameras captured what started as a normal morning April 2 outside Argyle High School. Students and teachers arrived for school. On a practice field, kids played soccer. Four surveillance cameras captured the collapse of an indoor activity center under construction. Julio Ledesma died in the accident. 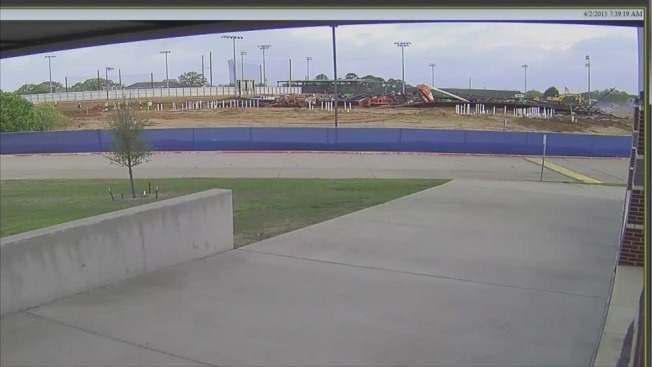 The cameras were also rolling on the construction project right across from the high school. Two crew members were up on lifts, working on the metal frame. Then, suddenly, at 7:39 a.m., it happened. With no apparent warning, the structure collapsed. It came tumbling down, from side to side, in about 15 seconds. 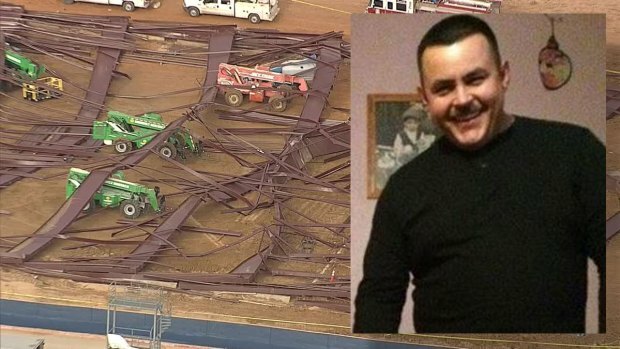 36-year-old Julio Ledesma, who had been on one of those lifts, was killed. Three other workers received minor injuries. Right after the collapse, the video showed others scrambling to help their trapped co-workers. Minutes later, rescue workers arrive at the scene. The cause of the collapse has not been determined but investigations are underway. Experts will no doubt go through the video frame by frame to answer the question what went so wrong. NBC 5 Investigates also obtained 900 pages of emails from the school district. The messages document the history of the construction project, including cost concerns and design changes. Safety questions were never raised in the emails. Incredibly, the same construction site was the scene of another fatal accident less than one week later. Daniel Moran of Haslet died the day after his 22nd birthday after he was run over by an 18-wheeler driven by his father. Following the second accident, the school board decided to halt work on the project for a full safety review.